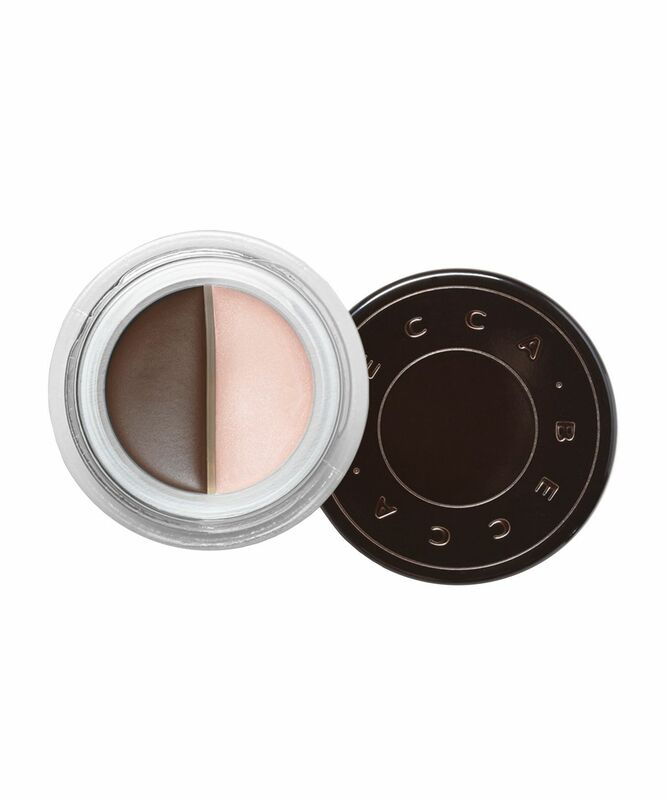 Achieve immaculate arches with BECCA’s split-pan Shadow & Light Brow Contour Mousse. Available in two shades – ‘Cocoa’ for light/medium hair and ‘Mocha’ for medium brown/dark hair – the brush-on brow mousse contains ultra-fine fibres, which adhere to both brow hairs and skin to enhance eyebrow ‘volume’ and fill in sparse patches. The accompanying Arch Defining Crème – the peachy-pink highlighter shade – is then perfect for accentuating the shape of your eyebrows; creating a clean line for enviable, Delevingne-esque definition. Long-wearing, water-resistant and smudge-proof, both formulas stay put for a natural-looking but ‘enhanced’ effect. Creators of exquisite, high-performance make up formulations – with blendable textures and wearable shades – BECCA is synonymous with effortless enhancement. Multi-award-winning, the rich pigments, soft hues and weightless coverage make it easy to achieve an enviable, airbrushed effect – so you look naturally luminous (and absolutely flawless). With emphasis placed firmly on creating the perfect canvas, BECCA’s primers, illuminators and foundations blur together seamlessly, to help you achieve the ultimate, lit-from-within finish – think your skin, just better. Tip: to customise your brow color, mix the brow enhancing mousse (darker shade) with the arch defining cream (lighter highlight shade). Apply the Brow Enhancing Mousse (darker shade) with an angled brush onto the brow using short upward strokes. Start by filling in the fullest part of the brows and continue to pull the color out to the tail to further define the brows. Next, apply the Arch Defining Crème (highlight shade) using your finger or a concealer brush, pat under and over the brow, and then gently blend. Brow Mousse: Cyclopentasiloxane, Dimethicone, Joboba Esters, Petrolatum, Talc, Dimethicone/Vinyl Dimethicone Crosspolymer, Dimethiconol, Nylon 6, Mica, Phenoxythanol, Sodium Myristoyl Sarcosinate, Aluminum Hydroxide, Squalane, BHT, Methicone, Tocopheryl Acetate, Silica. May Contain [+/-]: Titanium Dioxide (CI 77891), Iron Oxides (CI 77491, CI 77492, CI 77499). Highlighter: Ricinus Communis (Castor) Seed Oil, Polybutene, Rhus Succedanea Fruit Wax, Kaolin, C12-15 Alkyl Benzoate, Barium Sulfate, Tocopherol, Ascorbyl Palmitate, Tocopheryl Acetate, Tetrahexyldecyl Ascorbate, Squalane, Zinc Chloride, Aluminum Hydroxide, Trihydroxystearin, Hydrogenated Polycyclopentadiene, Isopropyl Titanium Triisostearate, Sodium Lauroyl Aspartatel, Caprylyl Glycol, Phenoxyethanol, Hexylene Glycol. May Contain [+/-]: Mica, Titanium Dioxide (CI 77891), Iron Oxides (CI 77491, CI 77492, CI 77499). This product is working really well for me. I got the medium dark colour and it is perfect to give a natural definition to my eyebrows. The highlighter side of the product helps to define shape even more. It does seem exactly the same as the Becca undereye brightener though, so if you already own that one it may not offer added value. I didn't find this to be as pigmented as I'd like and it wasn't easy to work with. This would be great for someone that already has full brows just wanting to fill in a little but I like to create sharpe 'insta brows' I don't think this product works for that.